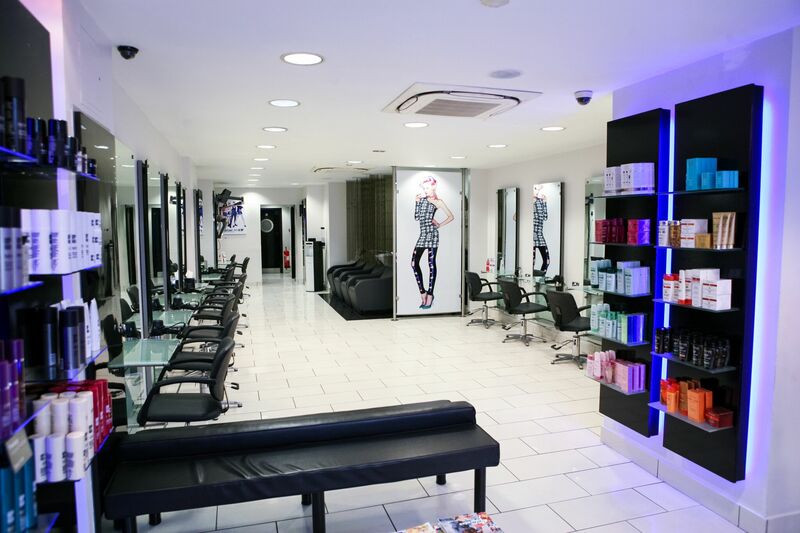 The TONI&GUY hairdressers in Clapham Junction is an award winning salon with a talented and established team. Winner of Newcomer of the year, and double winner of both Salon Team of the Year and Receptionist of the year at the TONI&GUY Business awards – we proven ourselves to be one of the best hairdressers in South West London. Our team showcase their talent, working alongside the TONI&GUY session team at events including London Fashion Week and on photo shoots. Education is of up most importance and we have our very own in-house team of trainers, ensuring that our team are trained to offer the latest in cutting and colouring techniques. We offer many additional services such as Hair extensions, The Yuko System, Permanent Blow Dry, Bridal and Occasion hair up. Our extensive retail offering includes label.m professional Haircare, KÄ—rastase and GHD – ensuring that your hair looks salon perfect in between salon visits. For further information about our extensive service menu, or for a free style consultation please speak to our reception team. The lady I had was clearly very inexperienced and really didn't care. For the price you're paying it's horrendous. I won't be going back. Many thanks to Anastasia for rescuing my hair with a stylish cut! She really listened to my requirements and showed my how it was going during the cut. The salon has a lovely cheerful atmosphere. A very happy customer, will definitely be back. Lovely hairdresser. Understood my hair well and was instinctive about what she thought would be required . Another amazing experience. Excellent service from all. Always love my fabulous highlights by Anastasia. Huge thanks for fitting us in to your tight pre Christmas schedule and taking the time to be so lovely and go the extra mile. I can highly recommend Michelle. She takes the time to discuss and great care when cutting and drying. Well pleased. Had a blow dry by stylist sam she was very nice and gave me the best blow dry as I have a lot of thick hair and also really long, I told her I like it dead straight and that’s exactly what she did. I always get a good cut and colour here and generally only ever have good things to say about the branch. I only have a small critique today which is after using this branch for 2 years and used T&G for a long time - I overheard a lady talking about discount and enquired found out this is someone I could have been getting discount on. It’s a little frustrating that as a loyal customer no one has ever thought to mention this to me. When the manager realised she said it would be sorted for my next visit - it would have been nice to get an apology too but to be honest everyone was really busy and there were clearly a few new members of staff there today so things seemed stretched. Sam was lovely, nice fresh cut. Only thing would have liked to have booked another appointment. Great experience as always- been coming here for years- Michelle gave a brilliant cut- Jen a great welcome. Glass of fizz on arrival- v happy. Really happy with my cut and colour. I was disappointed that it cost more than I was quoted and felt it had not been made clear what the final price would be. Fantastic customer service and experience every time my daughter and I are in the salon. I thought I had an appointment with Sam at 9AM but turned up and realised I’d booked for the next week! They managed to fit me in though that day, and I’m so happy that they did because Sam gave me the best cut I’ve had for years. Really happy I splashed out and will definitely be returning. The atmosphere of the salon is warm and inviting with some lovely characters and excellent customer service. Thank you! Love coming to this salon to have my hair done! Every member of staff is welcoming. I had my hair done today by Anastasia, she cut my hair exactly how I liked it and I am so happy with the results!